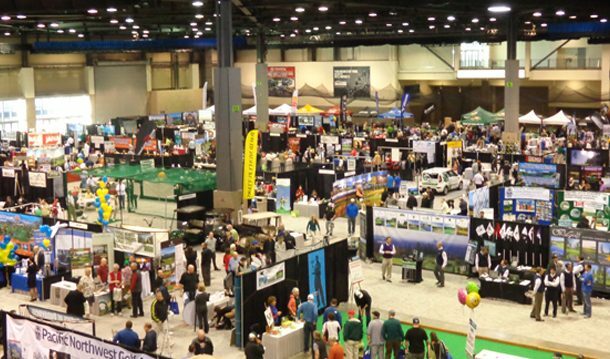 The dates are set for the three big golf shows in the Pacific Northwest. • The Seattle Golf and Travel Show is set for Feb. 16-17 at the Century Link Field Events Center. The two-day show will feature a variety of exhibits with tickets costing $14. Hours on Saturday are 9 a.m.-6 p.m. and on Sunday from 9 a.m. to 5 p.m. For information see www.seattlegolfshow.com. The show is operated by Varsity Communications. • The Portland Golf Show is also run by Varsity Communications and will be held Feb. 22-24 at the Oregon Convention Center. Tickets are $13 with the three-day show running from Friday through Sunday. A free round at Chehalem Glenn Golf Course is part of the entry tickets. See www.portlandgolfshow.com for info. • The Spokane Golf Show is set for Feb. 23-24 at the Spokane Convention Center. The two-day show will have tickets priced at $12. A free round of golf is part of the ticket purchase. For info see www.spokanegolfshow.com.